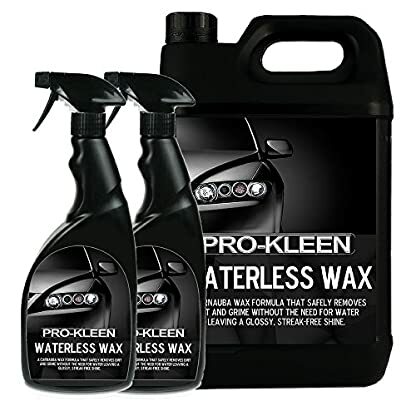 5 Litres with 2 x 750ml Pro-Kleen Waterless Wash and Wax: Cleans and shines all paintwork in one! Pro-Kleen Waterless Wash and Wax cleans and shines all paintwork in one! 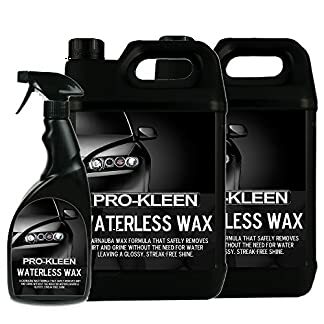 5 Litre + 2 x 750ml Professional Waterless Wash and Wax with a Free Microfibre Cloth Achieve the Modern Showroom Finish in Minutes Works Great on all Car Paints, Chrome and Glass Surfaces Specialised cleaning agents and surfactants provide a high lubricity protected cleaning action Disposing of the toughest dirt and grime with ease leaving a deep glossy, just waxed, streak free shine for days to come with no need to make use of a drop of water Simply Spray onto Bodywork, wipe, then buff to succeed in an instant showroom finish in seconds! 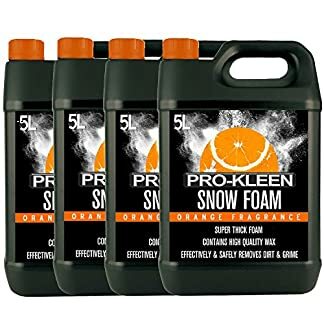 A whole car will also be cleaned in not up to 5 minutes. 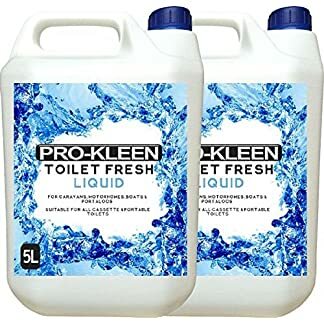 Specially blended PH Neutral Cleaning formula safely lifts dirt without the risk of scratches or damage to bodywork Instructions to be used: For best results spray onto bodywork and wipe with a Microfibre Cloth to take away dirt. Then buff with a dry clean Microfibre Cloth to succeed in a sparkling shine.